Intel seems to have figured out a very smart way to improve battery life on laptops. The processor maker announced its new Low Power Display spec at Computex in Taipei, Taiwan today, and claims adhering to the spec could improve battery life on laptops by anywhere from four and eight hours. The idea, according to Intel, is that display makers will build displays based on the spec and that then the integrated graphics unit on Intel processors will control the display, automatically adjusting brightness and refresh rate to maximize battery life. The way Intel describes it might conjure thoughts of Nvidia’s G-Sync or AMD’s Freesync technology. That tech automatically has a GPU speak to a display so that the frames rendered by the GPU match the refresh rate perfectly. Intel’s new tech would also speak with the display, but it sounds like it would have even more control. For example, if you’re looking at a static image on your laptop, you don’t need the screen refreshing the image 60 times a second to match the 60Hz refresh rate of the display. Instead it might only refresh it once a second, and only crank back up to 60 when the CPU tells it you’re moving the mouse or typing on the keyboard. Brightness could also be altered. Currently displays have adaptive brightness, where brightness adjusts based on the light in your environment. Displays made to the Low Power Display spec would apparently be smarter about that brightness—though it should be noted that Intel hasn’t actually specified how these displays would be smarter. The panels built to spec would also only use 1 watt of power, (Intel claims that’s approximately half of what laptop displays currently use), but beyond that, they’ll look just like the displays on laptops now. You could theoretically still have high resolutions, solid pixel density, and the great colors currently available on the most appealing laptop displays. In internal testing, Intel says it has seen a laptop with 20 hours of battery life jump up to 24 hours after it was outfitted with a Low Power Display, and it claims it’s seen four to eight hours-worth of improvement with other laptops. 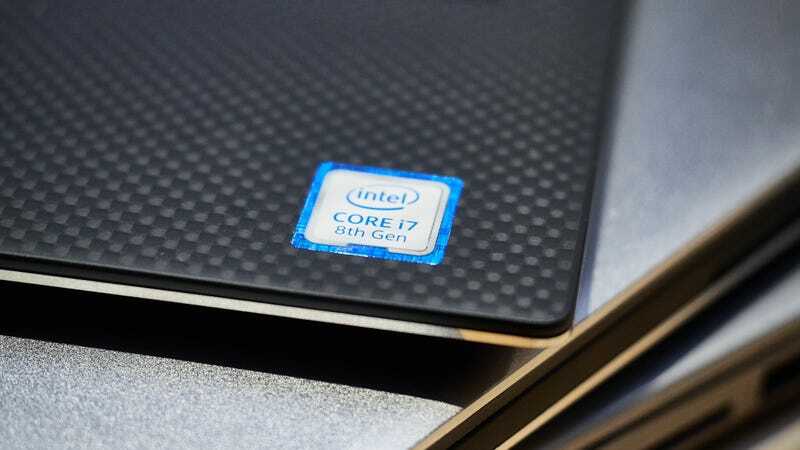 However the final spec has not yet been agreed upon by Intel and its display partners, and there’s no telling how many laptop makers would adopt it or regularly incorporate it into their current line of devices. The second CPU family is codenamed Amber Lake and will be 4.5W Y-series processors like you might find in the Google Pixelbook or the Apple Macbook. As with Whiskey Lake, Intel has provided no details on Amber Lake. And unlike Whiskey Lake, there are no rumors currently available about Amber Lake. So we know very little. Both families will launch sometime later this year. The last generation, Kaby Lake R, first arrived in August 2017.